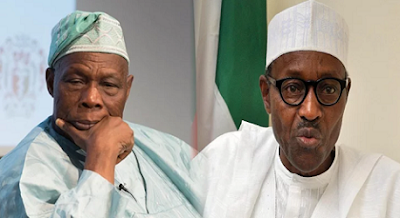 Former President Olusegun Obasanjo has warned President Buhari not to re-contest saying he shouldn't allow Nigerians vote him out like they voted out his predecessor, Goodluck Jonathan. Obasanjo gave the warning in a 13-page open letter he wrote to the president today. “Before It Is Too Late” was meant for him to act before it was too late. He ignored it and it was too late for him and those who goaded him into ignoring the voice of caution. I know that praise-singers and hired attackers may be raised up against me for verbal or even physical attack but if I can withstand undeserved imprisonment and was ready to shed my blood by standing for Nigeria, I will consider no sacrifice too great to make for the good of Nigeria at any time.No human leader is expected to be personally strong or self-sufficient in all aspects of governance.